QuakeWorld.nu - 'GetQuad! Draft' Begins Tonight! I haven't followed "the QW scene" for several years and I am amazed to see how professional and enteraining this 'draft' was presented to a wide audience. is this the same as the "Quakeworld 4on4 Draft Cup - Spring 2019"? Why is the name changed to GetQuad? More importantly, why was the name change not announced? 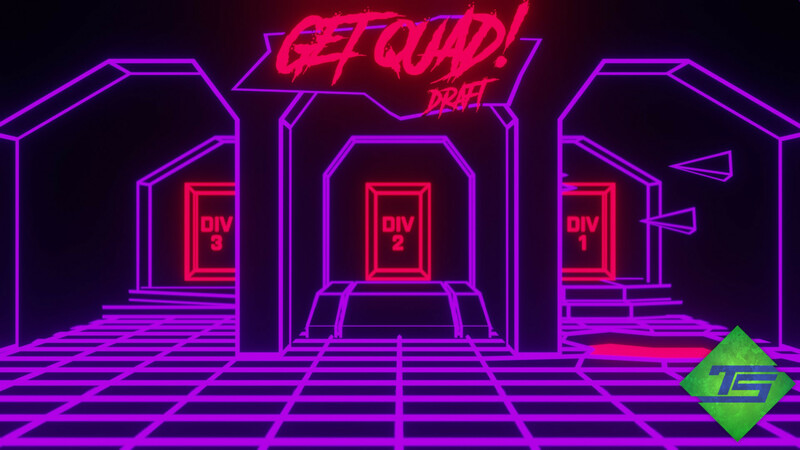 More more importantly, why is the tournament page (https://www.quakeworld.nu/wiki/GetQuad!_Draft) not published anywhere? The name was never really 'changed', as the original had lots of names. People moved very quickly and got things running before lots of things were decided; one of these things was the name. The wiki page you named is published in the GetQuad! discord server. Where else do you think it should be published? It was non-existent at the time of the publication of this front-page article. I think this frontpage article needs to be updated with link. There were some discussion about make this tournament more 'public' than usual. If people coming to this site because they have heard about this, it might come handy to have a direct link, not burried with Discord. I myself nit using Discord, 1st time I ever logged in was in desperation to find anything about to tournament. And even after login it was quite a challenge to 'find' anything useful. I kind of accidently found the wiki link. But as said, was my first experience with the Discord's interface. I could have edit myself, it is a wiki at the end. But I gave up after reading: "contact bps in Discord if you want to edit rights"
Ok thanks toma. I will do your suggestions.